Flickr now offers photo-editing tools to its users. Using the Picnik image-editing tool, you can do everything from cropping photos and brightening colours to removing red-eye from pictures. With the 'edit photo' button, you'll be able to resize, crop, rotate and sharpen images. You'll have to give your permission to edit and save your photos, but that's all - there are no downloads or registration processes to go through. All Flickr users can use the Picnik tool. 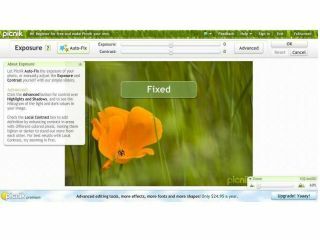 This image-editing addition puts Flickr on a par with Google's Picasa service, which has been offering basic image-editing functions for a while now. With people moving more and more towards social networking websites such as Facebook and MySpace to upload their pics, Yahoo (which owns Flickr) seems to have realised it needs to offer more than just photo-sharing capabilities to compete.